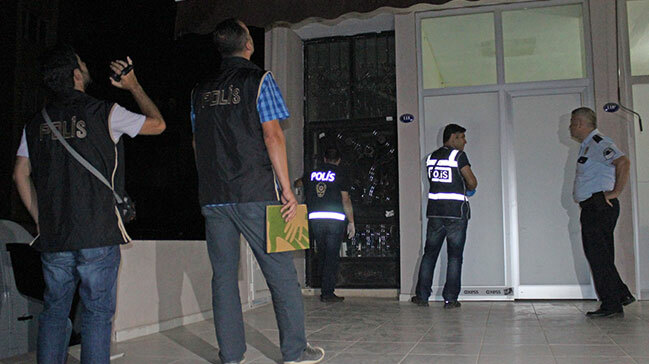 Turkish police learned that a retired teacher whose house was raided for the second time in order to detain him had already been imprisoned since Aug. 6 over links to the Gülen movement, whose sympathizers the Turkish government accuse of being behind a failed coup in Turkey on July 15. According to a tip received by the TR724.com website, the teacher, Aziz, whose full name and city of residence were not disclosed in order not to expose other family members, was a retired teacher and philanthropist who was involved in charitable work for poor students until he was detained early on the morning of Aug. 6 on coup charges. Following his detention Aziz was arrested by a court upon a demand by a public prosecutor. Recently, almost two-and-a-half months after the raid on Aug. 6, when police officers took Aziz from his home, six or seven police officers raided the house again to detain him, family members said in the tip. When police presented the detention and search warrants to the two women in the teacher’s house, it became obvious that the police were not aware that he was already in jail. It took time for family members to convince the police that Aziz was already in prison, until police telephoned a prosecutor, who called prison and confirmed that he was indeed in jail. “Kids start crying whenever the door bell rings, supposing that the police have come again,” family members said. The teacher’s family said police searched every corner of the house and seized his phone when they detained him.